Junk removal cleans your house up and takes away the trash and clutter! 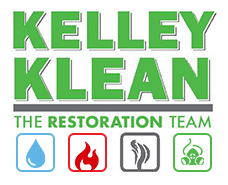 It’s a great service to use when you need to get your home in top shape quickly. If you want to put your home on the market, pack what you want to take with you and let junk removal services handle the rest! If your home has been on the market but you’re not getting interest, try junk removal. It can do a world of good for your home selling process! It can be difficult to sell a home while you’re still living here. This is because potential buyers want to see the home as a blank canvas. They want to imagine themselves and their families in the home; they don’t want to see what you’ve done with the place. Clutter reminds potential buyers that someone else lives there. It can also make your rooms seem smaller than they are. A cluttered home doesn’t make a good impression. You could have a lovely home, with plenty of room, but if it seems crowded it won’t appeal to viewers on an emotional level. That’s what you need to convince someone that your property is the one for them! Junk removal will also push you to make sure every area of your home is in top shape. Junk and clutter tends to collect in areas that are out of sight and out of mind. When you don’t pay attention to an area, it’s easier for problems to go unaddressed. When you clean the junk out of the attic, you may find a roof leak that you didn’t realize was happening. You can fix that up before potential buyers find it–and save yourself some haggling! Cleaning up the house will also help you find out which areas are looking tired. A fresh coat of paint over a clutter free spot will make it look like new again. It’s difficult to see the other issues in a space when it’s full of clutter in the first place, of course! That’s what can be so difficult about selling your home. You’re used to everything about it! Home odor is another thing that can turn people off of a house. Junk and clutter sits around, soaking in odors over the course of years. Your junk may still smell like that mold infestation you had ten years ago, or it could smell like something you’ve never had in your home. Scents can mix together to create something unpleasant, but invisible to our noses. We’re just desensitized to it! The best thing you can do is to get a junk removal service to scoop out your junk. Then you can make your house smell like cinnamon, cookies, or something else liable to attract buyers! Getting a junk removal service to your place can take your on the market house from “meh” to “SOLD!” You’ll freshen your home’s smell and appearance at once! Best of all, you could find out about a problem with your place in time to nip it in the bud. Get a junk removal service and say goodbye to junk!